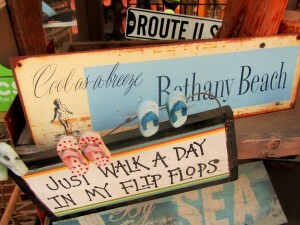 Rehoboth Beach offers its visitors plenty. 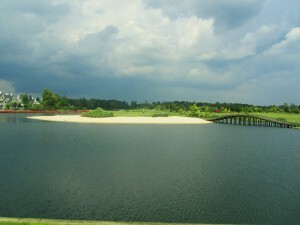 It has a beautiful beach, a boardwalk, shops, restaurants; fine dining and junk food, as well. 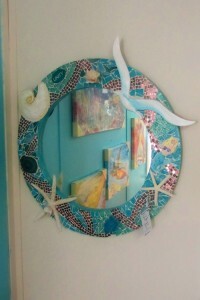 In the summer, this coastal town is a destination; arts and entertainment being at the head of it all. I decided to write this post just on the arts and entertainment. This is in addition to all the venues that offer live music. 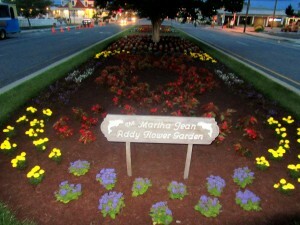 Since 1963 Rehoboth Beach has been offering FREE entertainment as part of the Summer Concert Series. These concerts are held at the bandstand in the Rehoboth Boardwalk. They start at 8:00 p.m. unless otherwise mentioned. There is a full schedule with descriptions on its website; http://www.rehobothbandstand.com/schedule. Friday, 6/17 – Kicking off the Summer Concert Season and a new one to the Bandstand is Deja Groove Party Band. This is a dance band. You can check their own website at www.dejagroove.net. It is a high energy performance, a diverse musical repertoire that will get you on your feet. This band will be performing the best music of the 60’s through the 90’s and right up to the chart topping hits of today. Saturday, 6/18 – Vinyl Shockley is Rhythm & Blues. His website is www.vinylshockley.com. “Honest music that soothes the soul and moves the feet”. His music has been called “blue-eyed soul with a Stax/Volt Twist”. 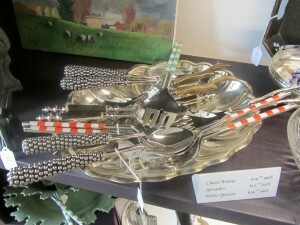 Sunday, 6/19 – The Threetles. A tribute to the Beatles. 3 long-time friends who share the love for the music of the Beatles. All three bring great musical experience to the band. Dennis Schocket, formerly fronted the Baltimore band, the Rattlecats and currently leads the harmony-laden band, Starbelly. Pete Wiedmann is in Love Seed Mama Jump, the Delaware band. Cliff Hillis has been in Philadelphia’s IKE. He also performs with Eric Bazilian of the Hooters in the Eric Bazilian Band. 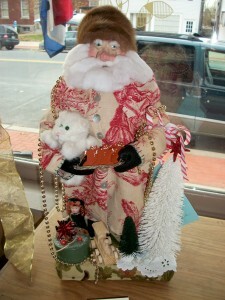 The Rehoboth Beach Historical Society is located at 511 Rehoboth Ave., Rehoboth Beach. 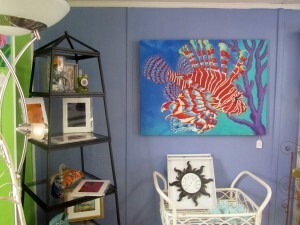 It is also the home of the Rehoboth Beach Museum. Tel. 302-227-7310. Website? 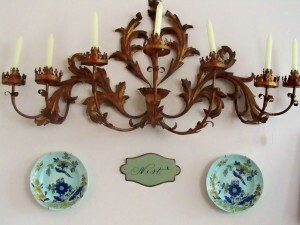 www.rehobothbeachmuseum.org. The museum is located near the Chamber of Commerce Visitors Center and Grove Park. A new exhibit just opened: Skimming the Surface: Surfing, Skimboarding, and Floating off the Delaware Coast. The following postcard is of the interior of Surf Shop East, Rehoboth Beach, from the 1960’s. It is on loan to the Rehoboth Beach Museum from Skip Savage, who owned the shop and who is also in the East Coast Surfing Hall of Fame. On display you will find vintage surfboards, skimboards and bathing suits. Surfing slang, board shaping and information about ancient Hawaiian surfing traditions will be featured. 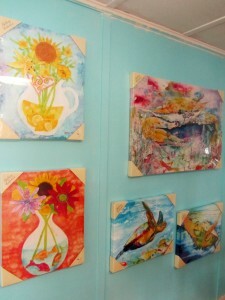 The exhibit will continue until the first week of March, 2012. 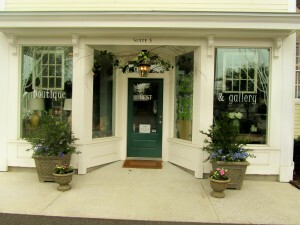 Gallery hours are: Mondays to Fridays 10 a.m. until 4 p.m. Saturdays and Sundays from 11 a.m. until 3 p.m. Admission rates are: $5 for adults, $3 for seniors and active duly military, $2 for young adults 13 to 17. Children 12 and younger are free and will receive a free gift. The Museum welcomes group tours. Parking is free. The Rehoboth Beach Film Society has something for everyone year-round. 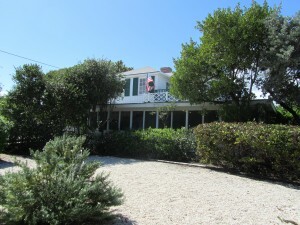 The address is 107 Truitt Ave., Rehoboth Beach, DE 19971. Tel. 302-645-9095. The website? http://www.rehobothfilm.com. Festival Film Reviews – Film Critics Wanted!! Always thought you wanted to be a film critic? Well, then this might be your opportunity. Be a part of the film selection process for the Rehoboth Beach Independent Film Festival, which will be celebrating its 14th year. Each session will include the screening of a short and a documentary or a feature, time permitting. Reviewers are asked to complete a rating form and may also join in the post film discussion. Film titles and descriptions will not be provided in advance as they want everyone to arrive with an open mind for a new experience. Most submitted films have not received a MPAA rating, and film review screenings are recommended for mature audiences only. Once the viewer leaves the screening room, please do not publicize any information about the films in any format; website, newsletter, etc. Please visit http://www.rehobothfilm.com/festival_film_reviews.html for schedules and location. The Rehoboth Beach Film Society would like you to know that you can enjoy a delicious lunch or dinner at Cake Bar on Second St., Lewes. 10% of your entire check will be donated to the Rehoboth Beach Film Society. Be sure to request a “Give Back Slip” and circle the Film Society’s name before leaving. 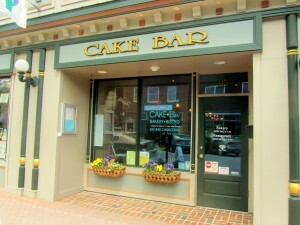 I have been to Cake Bar and if you would like to see my review with pictures, please visit http://www.aboutmybeaches.com. Then, click on the month of April, 2011 and scroll down to the 28th. 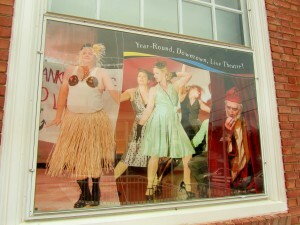 Clear Space Theatre Company is located at 20 Baltimore Ave. in downtown Rehoboth Beach. Website? www.clearspacetheatre.org. Tel. 302-227-2270. Tuesday and Wednesday, 6/7 – 6/8 – OperaDelaware brings Opera Hits to Clear Space. Delaware’s only professional opera company will bring their talents to the beach when Clear Space Theatre Company presents OperaDelaware’s “Opera Pops…And Sizzles!” These performers will bring to life some of the greatest moments in opera, from such well known shows as “Carmen”, “La Boheme”, and from OperaDelaware’s current season, “The Merry Widow”. 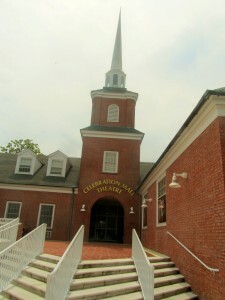 OperaDelaware was founded in 1945 by Chick Laird, and in addition to operating as Delaware’s only professional opera company,it is also currently, the nation’s 14th oldest. The performances will be at 7:00 p.m. at the Clear Space Theatre, located on 20 Baltimore Ave. Tickets are $25 for adults, $20 for seniors, $15 for students and $5 for children 12 and under. You can purchase them online by visiting the website, by phone at 302-227-2270 or by visiting the box office in person. Saturday, 6/18 at 7:00 p.m. and Sunday, 6/19 at 3:00 p.m. Clear Space Theatre Company presents Opus Nine. Tickets are $25 for adults, $20 for seniors, $15 for students and $5 for children 12 and under. They are available online by visiting the website, by phone at 302-227-2270 or in person at the box office. A new twist on classical music to the beach. Opus Nine, an ensemble of twenty-somethings from New York, will bring their impeccable musicianship and youthful vigor to Rehoboth Beach for two evening concerts. Opus Nine was started in early 2009 by Alysia Lee and Jarvis Benson. They wanted to start an ensemble that mirrored their lives and represented their generation – to “embrace their differences and work together harmoniously”. With degrees from such prestigious schools as Julliard and the Peabody Conservatory, members of Opus Nine have performed all across the country, including recitals at Carnegie Hall and Lincoln Center. This Theatre Company is ready to offer a new year full of shows for the whole family. 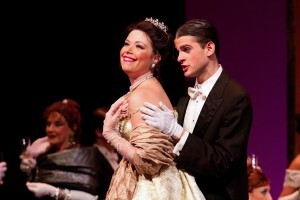 These productions will take place during the 2011-2012 season. It will be the 7th season of performing arts at the beach. So, get your calendar ready. Visit the above mentioned website so that you can have further information on what’s on the schedule. Here is a little teaser. It will kick off the season with “100 Years of Broadway IV from September 23rd to October 9th. Then, Clear Space Theatre will take part in Rehoboth Beach’s Annual Sea Witch Festival by creating their own Haunted Theatre. That will be from October 21st until October 30th. Scrooge will follow from November 25th until December 11th. On December 31st “Showstoppers” which will have members of the acting company take the stage to perform big Broadway tunes, followed by dancing, live music and a champagne toast at midnight. 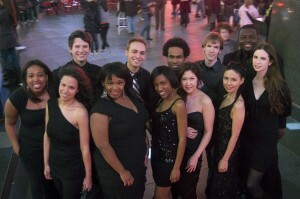 On January 27 – 29, 2012 a new version of “An American Songbook” will start the new year. Then, immediately after that “Blithe Spirit” will open on February 2nd until February 19th. This classic comedy by Noel Coward follows a British novelist whose second marriage is disrupted by the ghost of this first wife. Spring will have a roster full of musicals. “Little Shop of Horrors”, March 15th until April 1st. Ted Keegan will return for a new concert series April 27 – 29. A production of “My Fair Lady” will run from May 10 – 27. The company will wrap up performances with their summer repertory season, which begins June 19th and runs through September 2nd. Three shows will run in rotation all summer long. The productions of “100 Years of Broadway IV” and “My Fair Lady” will be welcomed back in addition to the new production “Words & Music: The 1950’s”, a celebration of the sounds of the era. I remember when I moved to the Delaware Beaches in 1981. Not much was going on and people would ask “What are you going to do there year-round?”….How times have changed. Those same people have either bought properties here, have moved here, or can’t wait to visit time and time again….have a good one. This has been one of the nicest Memorial Week-Ends at the Delaware Beaches. The gates have opened and visitors arrived. It is great to see them but it can get a little hectic. Traffic overwhelms anyone that has been here through the winter. We have to adjust to waiting in line for a couple of minutes and finding parking could be a test for patience. The weather has been great. Hot and sunny. Beaches are crowded even though the water is still cold. If you are visiting the Lewes area this is what’s going on this week. 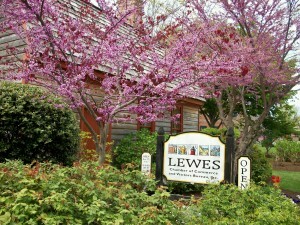 Historic Lewes is a walking town. 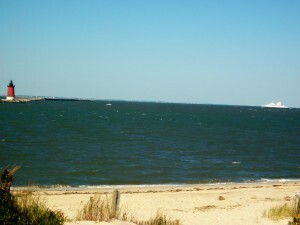 Founded in 1631 it is the first town in the first state. It has everything; history, restaurants, museums, shops, the park and the bay. 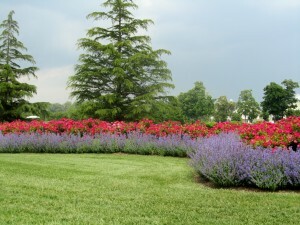 Tuesday, 5/31 – Open-Air Concerts at Stango Park begin. Stango Park is located at 110 Adams St. and King’s Highway. This park is the home of the Lewes Library. Concerts are right there and they are free. On any given Tuesday throughout the summer you will see everyone carrying their chairs and blankets to enjoy a few hours of entertainment. The concerts are from 7:00 p.m. until 9:00 p.m. The Funsters will be opening these series of concerts and they will be performing old swing favorites. From Frank Sinatra to the Rolling Stones, The Beatles to Al Green. It is a 10 member group with a guitarist that has toured with Joe Cocker, Scandal and Paul Young. The following Tuesday, 6/7 Country Current (Rock./Pop) will be the evening’s performers. So, just gather the family since they are all welcomed, and sit back and enjoy the music. 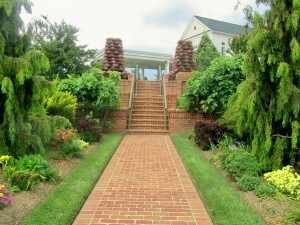 Saturday, 6/4 – Historic Lewes Farmers’ Market from 8:00 a.m. until 12:00 p.m. Location? Lewes Historical Society Complex located on 2nd & Shipcarpenter Streets. You will find fresh produce, fresh grass-fed meat and chicken, fresh fish, breads and baked goods, cut flowers and bedding plants. Herbs, eggs and artisanal cheeses among other goodies. 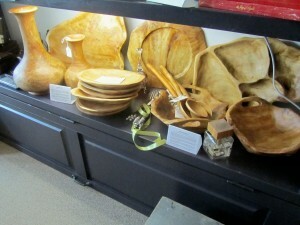 If you want more info., just visit their website, www.historiclewesfarmersmarket.org. Saturday, 6/4 – Delaware Breakwater End Lighthouse Tour from 11:00 a.m. until 2:00 p.m. All it takes is a short boat ride, then walk in the steps of the lighthouse keeper. The tour includes the boat ride, the tour of the interior, a climb to the lantern room, and a sail-by at the Harbor of Refuge Light Station for a close by view and photos. 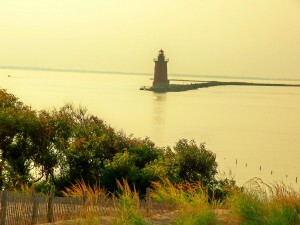 Visitors will tour only the Delaware Breakwater East End Lighthouse. The sail-by the Harbor of Refuge Light Station will be weather permitting. You will be able to then see the work that is underway; a new landing dock is being constructed; repairs are also being made to the breakwater wall by the U.S. Army Corps of Engineers. This tour is limited to ages 13 to adult on Saturdays. Price? $35. On Mondays children from 6 – 12 are welcomed to join in as Mondays are designated for “Locals and Families” tours. On Mondays the cost for that age group is $15. Monday 6/20 will be the first Locals and Families Tour. Reservations are required. 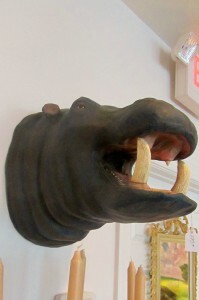 You can call 302-644-7046 or visit www.delawarebaylights.org. This website has so much information. It is worth visiting. All tours leave from the Lewes Ferry Terminal finger pier. Saturday, 6/4 – National Trails Day – 9:00 a.m. until 1:00 p.m. Join the Friends of Cape Henlopen to maintain and improve the trails and park. A litte clean up, minor construction, etc. etc. Meet at Hawk Pavilion. Your help will be so much appreciated. Please call for more info. 302-644-5005. 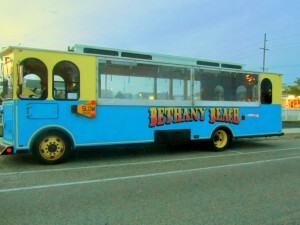 Trolleys, Bethany Beach, Transportation, Best Deal in Bethany Beach, Beats the Meters!! Thank God I did not have to experience it. Mayhem in Bethany Beach because residents and visitors could not find the parking meters. Several people got tickets left and right. Finally, after enough complaints signs were put up informing the public where to go and what to do. Meters are so expensive at the Delaware Beaches. In Bethany Beach all meters are $1.50 per hour in quarter increments. A quarter gives you 10 minutes. Garfield Parkway, which is the Main Drag, as some of us call it, and the business area, have blue meters. Please note that these meters have a 2-hour limit on the meter. But, the meters can be replenished. The rest of the meters are grey. These ones have an 8-hour limit. Having said all that, why don’t you just take the Bethany Beach Trolley. It is so cheap. $.25 each way is what you’ll pay and someone else is driving you. The Town of Bethany Beach has 2 trolleys. The trolleys run from 9:30 a.m. to 10:00 p.m. The last pick up on Atlantic and Garfield is at 9:45 p.m.
You can flag down the trolleys anywhere along the route for pick or discharge. The only exception is that they will not do any loading or unloading on Rt. 26 and Rt. 1. 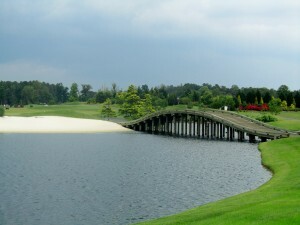 The same goes for Jefferson Bridge Rd. These are busy roads and I can see why. On a daily basis there will be little or no service from 12:30 p.m. until 1:00 p.m. and from 7:00 p.m. until 7:30 p.m. These drivers need lunch and dinner breaks. To check the Trolley Schedule all you have to do is visit www.townofbethanybeach.com and then under services scroll down to Trolley. If you need more info., please call 302-539-8011. If you are near any of those routes or within walking distance, my suggestion is use the Trolleys. You won’t regret it. 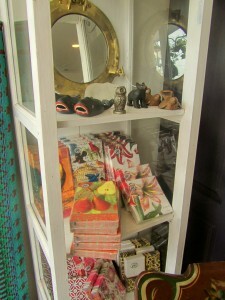 As I first stepped into this charming and eclectic shop I got the feeling that I was being nurtured. I felt good about it. I don’t know if it was Dee or Hannah. They are the mother and daughter duo that are the shopkeepers. They are both so friendly and I have known them for quite some time. You know, school in Berlin, children the same ages, lacrosse and on and on. The friendships that are made in the formative years of our children are definitely, keepers. 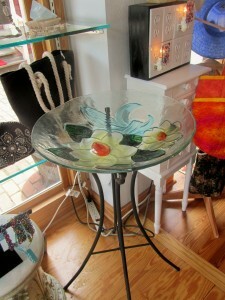 NEST is located on 116 Broad Street, Suite 3 in Berlin, MD 21811. Tel. 410-629-1030. E-mail address is nest.berlin@gmail.com. You can also find NEST on Facebook. NEST is open 7 days a week with plenty of street parking. Mondays to Saturdays from 10 a.m. until 6 p.m. and Sundays 12 p.m. until 4 p.m.
From Rehoboth Beach it takes about 45 minutes to get to Berlin. Not far at all from Ocean City. I have found that the town of Berlin looks great. People are out and about, the stores are well stocked, the restaurants are crowded and serving a variety of foods for all kinds of discriminating palates. 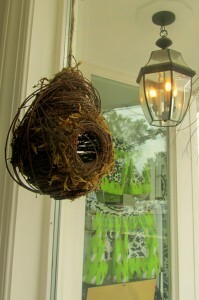 NEST is not a big store but Dee and Hannah have chosen so many neat things to make it unique. The store opened in September of 2010. 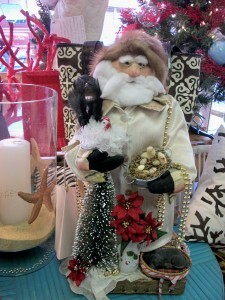 Dee is well known for her Santas. She probably did not notice that one caught my eye. Tucked away in a corner, waiting for the month where he will truly shine. 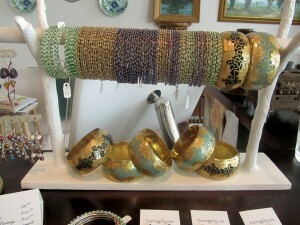 All handmade with gorgeous materials. Here are a few others that I was lucky to see some time ago. 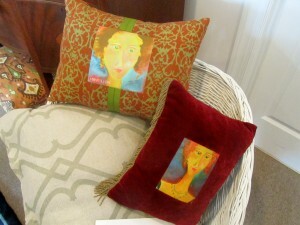 As you enter NEST the Tibetan pillows are the first burst of color that capture your eyes. Soft and beautiful. Dee loves to sew. She told me so. 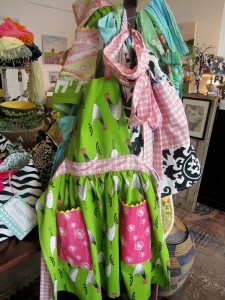 Her aprons have great color combinations. 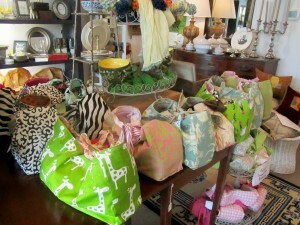 She also makes the boppyowl handbags. Fine quality fabrics; plenty of pockets and just perfect for the summer. 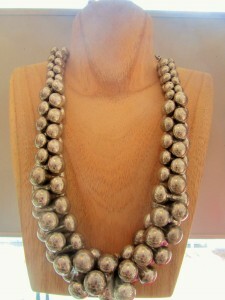 They can also be given as a present to a new mother. 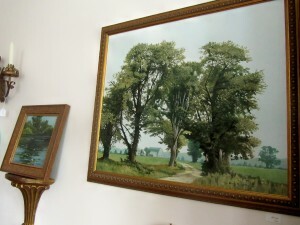 Antique willow trunks from China. 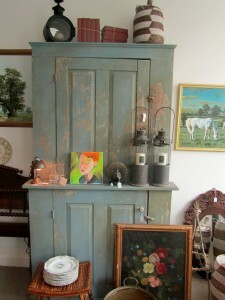 Or, maybe the 19th century Delaware blue milk paint stepback cupboard. The woman’s face. 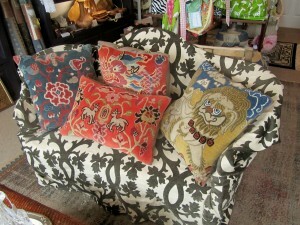 The pillows are all from Jude Robinson. Jude is from Snow Hill, Maryland. 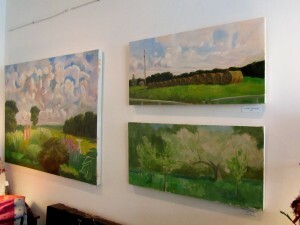 The landscapes on the walls are by John Sauers from Darlington, Maryland. 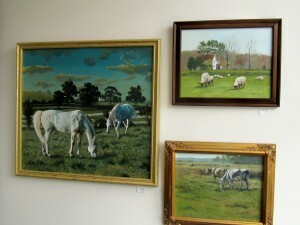 The animal paintings are from Beverly Lynch, Newark, Maryland. 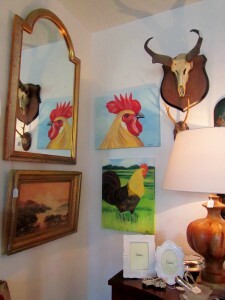 The Rooster paintings and pig drawing are from Caryn Strauser, Baltimore, Maryland. 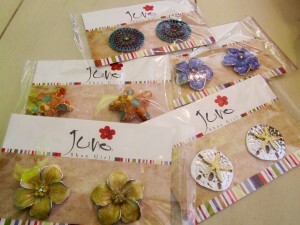 There is jewelry and earrings by Lex. And, then there is the String Doll Gang. 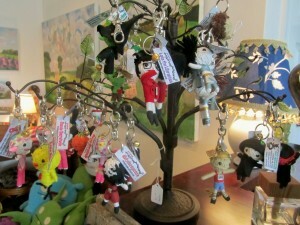 The string dolls appeared on the markets of Thailand in 2004. They are made out of one single strand of string. 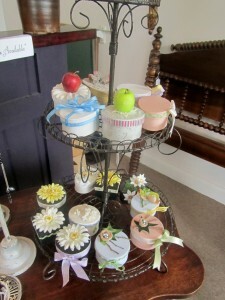 Since then a whole cottage industry has sprung. 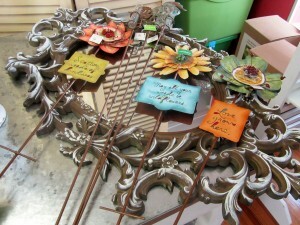 Each has a special good-luck power that is written on a fabric tag. The Designer? Kamibashi, which maintains fair trade practices. 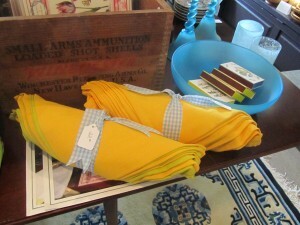 Outdoor carpets, napkins and placemats. 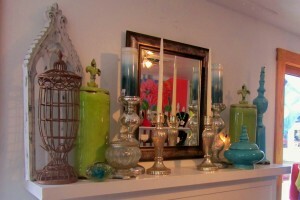 Vases, serving pieces, keepsake boxes and a variety of lamps. And then, there is Pete. 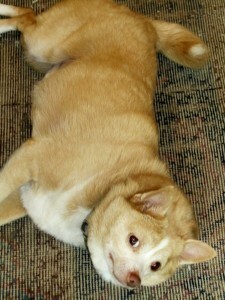 The mascot. You cannot help but fall in love with him. He is part of that nesting, nurturing kind of feeling, as well. So, there you have it. 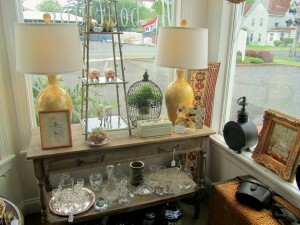 Stop by and say hello to Dee and Hannah. Once you meet them, you will think you have known them forever. See you…talk to you later…. I am probably the only person that has made a friendship through the Census. 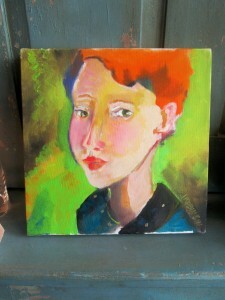 Yes, her name is Annie Hall. I thought it was a joke when she first called. She asked me for lunch the other day and we decided to meet at BayWood. I had never been there; only had seen it from Rt. 24. 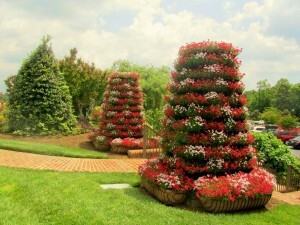 Always amazed at the flowers; could not imagine how beautiful it was going to be once I was inside the complex. 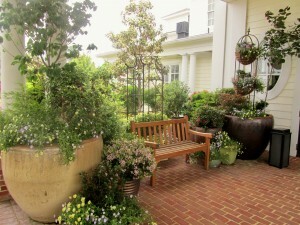 BayWood Greens is not only an 18 Hole Championship Golf Course; it is also a community. 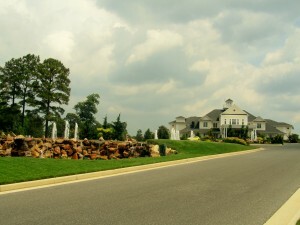 BayWood Greens is located on Rt. 24, Long Neck, Delaware. 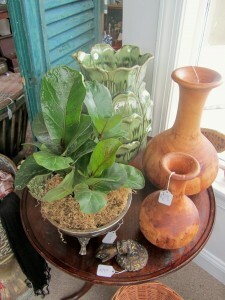 It is about 15 to 20 minutes from Rehoboth Beach. Best way to get there is: From Rt. 1 take Rt. 24 West. 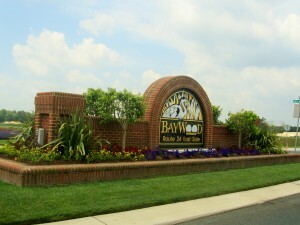 It will be 7 miles to the BayWood entrance on the left. 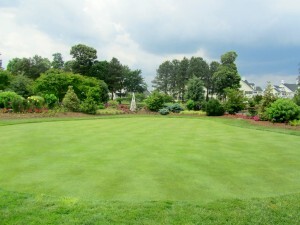 The website is www.baywoodgreens.com. Tel. 302-947-9225, 302-947-9800. As you are driving in, there are gardens everywhere. Constant care and attention to detail is what immediately came to my mind. At a distance I could see the Clubhouse. 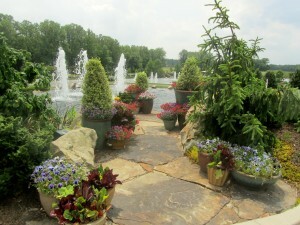 Again, flowers, fountains, and what a beautiful day it was. 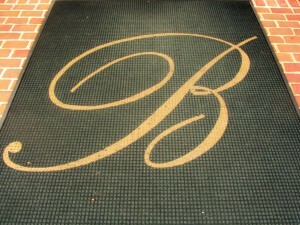 There is plenty of parking and just a short flight of stairs in order to access the main entrance. 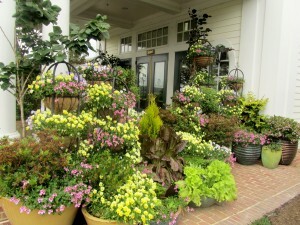 Again, the entrance was full of flowers. 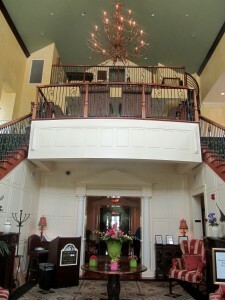 As I came into the reception area I could see that the Clubhouse had a very sophisticated air about it. I asked the hostess if we could sit outside. If you want to sit inside, there are plenty of choices. But, on a day like last Friday, who wants to sit inside? The Verandah was the perfect choice. 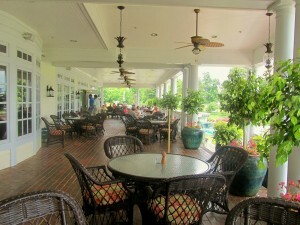 A wonderful breeze and comfortable tables. From the Verandah you had an expansive view. I can see why so many brides choose this spot. 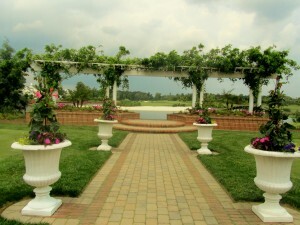 It is called the Wedding Garden. The wedding photos must be spectacular. 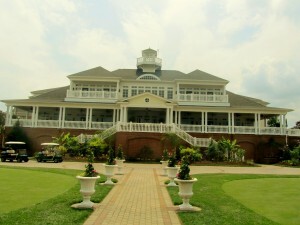 The Clubhouse is open for lunch and dinner. Brunch on Sundays, as well. There is plenty to choose from. 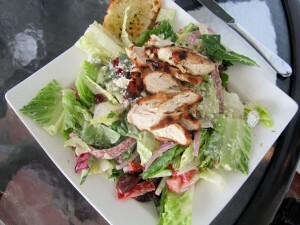 Soups, Salads, Sandwiches, Dinner Appetizers, Entrees and Desserts. It was so comfortable and relaxing that I felt I was on vacation somewhere else. 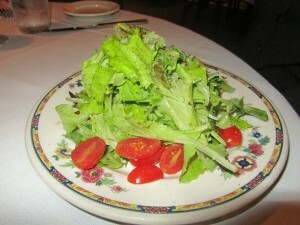 I chose the Baywood Bleu Cheese Salad. This is their signature salad with mixed greens, gorgonzola bleu cheese, roasted red peppers, red onion, artichokes, dried cranberries, cucumbers, tomatoes, Kalamata olives, and Genoa salami tossed in a honey Dijon dressing. You would think that it would be enough but I also had grilled chicken on top. It was the perfect salad. The dressing was delicious and the combination of all those vegetables, dried cranberries and salami gave it that sweet and salty taste. Very very good. 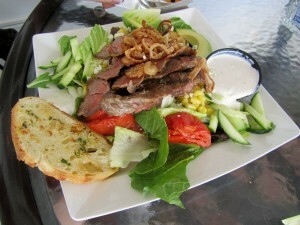 Annie Hall had the Steakhouse Salad which was grilled flank steak served over mixed greens with corn, roasted plum tomatoes, and avocado tossed in a BBQ Ranch dressing and topped with fried shallots. She decided that instead of the Ranch dressing whe would order bleu cheese and said that it was delicious. We talked and talked. Our server as so nice and came to check on us from time to time. We were happy,though. 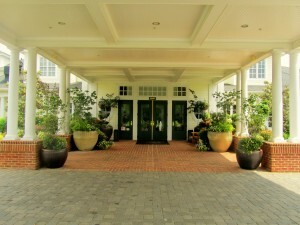 After our lunch Annie had to leave and I just strolled around the grounds. 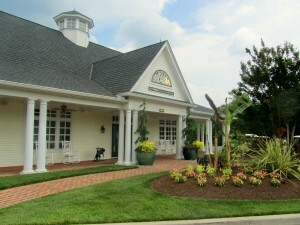 There is also a Golf Pro Shop which is separate from the Clubhouse. BayWood is busy. They have a Summer Concert Series. The first concert will be Monday, May 30th from 5:30 until 8:00 p.m. 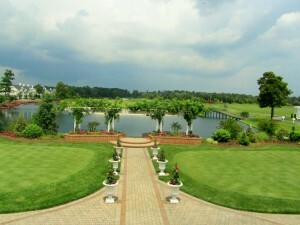 It will be held in the Wedding Garden. The concerts are open to the public and they are free. There will be a Memorial Day BBQ. You know, hamburgers and hotdogs. The entertainers will be The Cruzers. For more info. 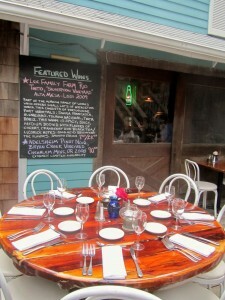 and reservations, call 302-947-9225. The following sounded like fun. BayWood Clubhouse Restaurant has a Birthday Promotion. They will give you a discount equivalent to your age!! If you are turning 42, please go and get your 42% off your entree. If you can’t make it on your birthdate then celebrate your special day anytime during the calendar week of your birthday. Sunday to Saturday. Then there is the Anniversary Promotion. Discount equal to the years of marriage. And if you have been married 10 years or less, they will still give you a 10% discount. Just remember that the discount applies to entree portion of total check. And, promotions are not available with other offers or discounts. Please visit the website above mentioned because you can find a whole schedule on what is going on at BayWoods. I recommend it to anyone that wants to have a good and relaxing lunch. The setting is gorgeous. 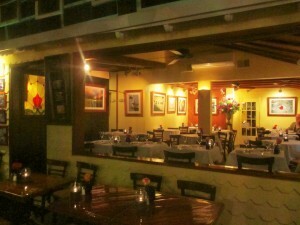 I cannot wait to try dinner and feel the atmosphere at that time of the evening. 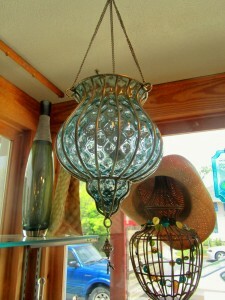 Downtown Rehoboth Beach is a fun place to shop. Many of the stores and restaurants are easily found on the “Avenue” but some of the most interesting ones are found on the side streets that weave around this coastal town. From the beach you can stroll through the town; it is that relaxed. It is also that casualness, fun and eclectic lifestyle that brings visitors every year to get away from it all. We, the residents, love it and know how special it is to live here. I was walking on trendy Baltimore Avenue when a shop caught my eye. It seemed I had seen it somewhere else. 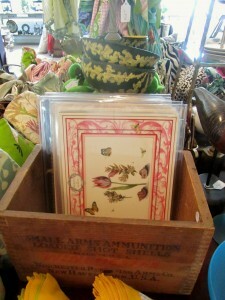 It was in the Shops of the Rehoboth Mews. This is a “street mall”. 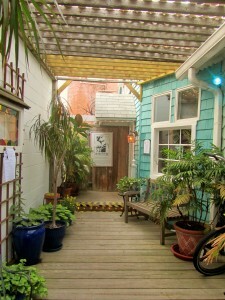 Just one alley from Rehoboth Ave. to Baltimore Ave. with shops and coffee shops on either side. 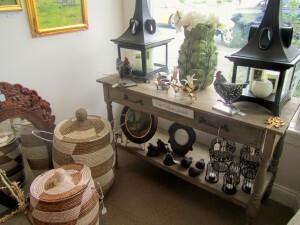 The store is brand new in the Rehoboth Shopping Circuit. 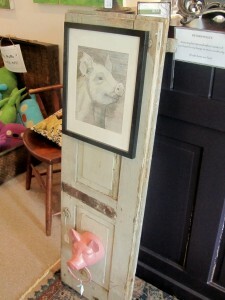 For the past 15 months they had been in Lewes, just up the road. Here, in town, they were getting great foot traffic. Just like anywhere else, once a new store or restaurant opens people just show up. 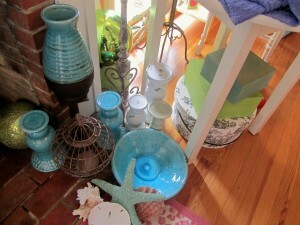 As I stepped into the store I noticed that there was abundant color throughout the store. Summertime brings that. You are at the beach so go for it. 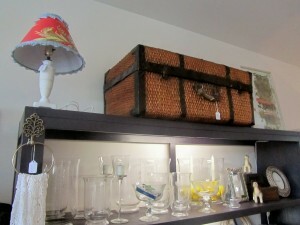 This shop is fun, and very eclectic with affordable prices. 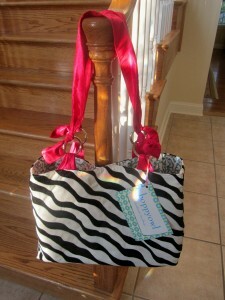 A gift for a friend; an unexpected hostess gift, or your own personal indulgence. 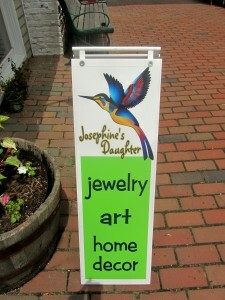 Josephine’s Daughter is at 129 Rehoboth Ave., Suite D, 40 Rehoboth Mews. The tel. 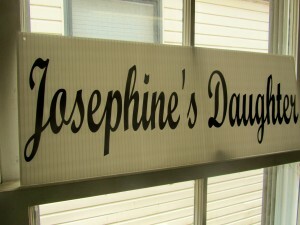 is 302-260-9577 and the website is http://www.josephinesdaughter.com. I think it is easier to find parking on Baltimore Ave. and access the store from that street. Please note that you can find Josephines Daughter on Facebook. Come with me. Let’s go shopping. The pictures will show you a sample of what’s in store for you. 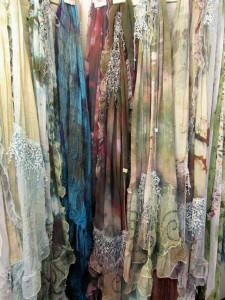 Scarves and accessories. 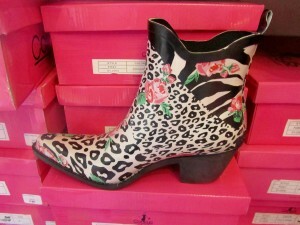 There is a signature line of ankle high art-print boots. 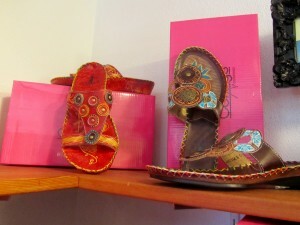 These sandals were so cute. 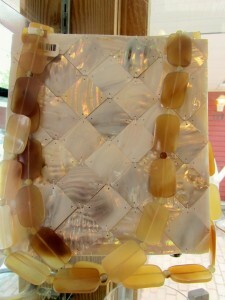 The pair comes with one set of decorative clip-ons; you can buy extra ones. 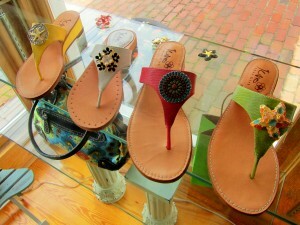 The sandals were stylish, well made and comfortable. There was another line of shoes and sandals, just as colorful as the rest and there were plenty of women trying them on and saying how good they felt on their feet. 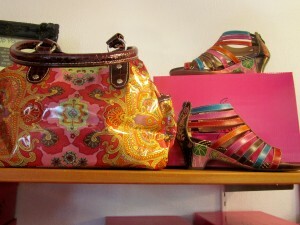 I did not see too many things for men; therefore, I would say this store is predominantly for us, women. 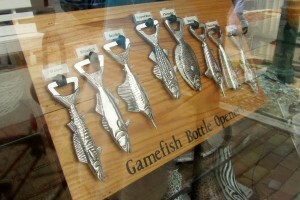 But wait, the game fish bottle openers will be for the guys. The jewelry? 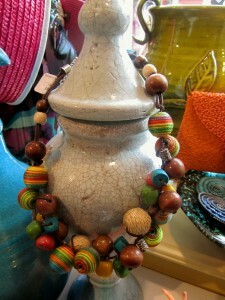 One of a kind pieces made for Josephine’s Daughter. I did not try the Saress on. This is called the ultimate beach dress; wear it from the beach to a happy hour; to dinner. 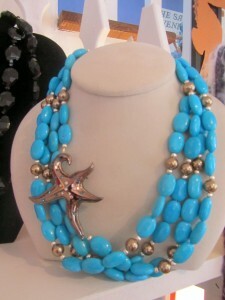 It is supposed to be comfortable, stylish and always appropriate on or off the beach. 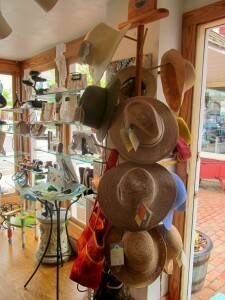 Then I saw the Wallaroo hats. I know this company. They are from Boulder, Colorado. The hats are available in a variety of styles for men, women and children. The majority of the fabrics block 97.5% of the sun’s ultraviolet rays. Look for the label which determines which hats are UPF-50. If you want to learn more about this company, please visit www.wallaroohats.com. Josephine’s daughter had a nice selection. 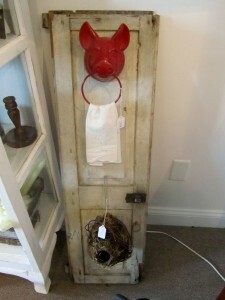 Josephine’s daughter has home accents, as well. 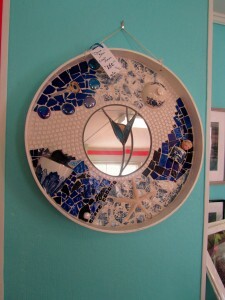 A vase here, a mirror there. 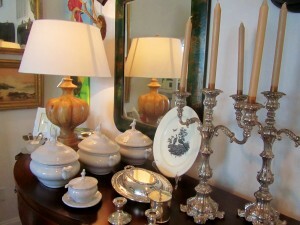 Serving pieces and wine stoppers. 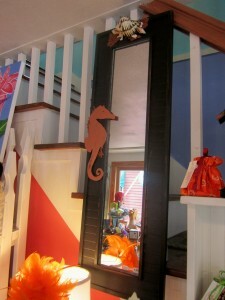 The store has a second floor with some furniture and art, as well. That room was being put together. But, this is what I found. 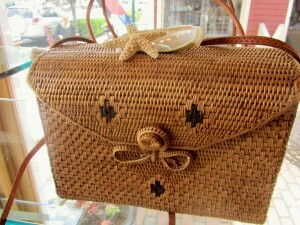 Customers, smiles, laughter, strolling with a friend, summertime, the beach….it is great. 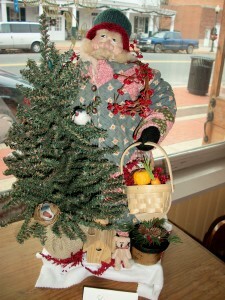 The Back Porch Cafe, Rehoboth Beach, Restaurant, Review, Delaware Beaches, New Season, High Expectations, So Many Restaurants, So Many Choices…. 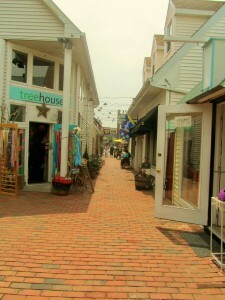 Rehoboth was so crowded this past week-end. Hard to find a place to park. Thank you Rehoboth Beach for not having to pay for meters yet. Sunday was the day that we were getting together with a couple of friends. 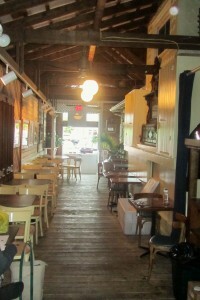 The chosen restaurant was The Back Porch Cafe. At the Delaware Beaches this restaurant is an institution. 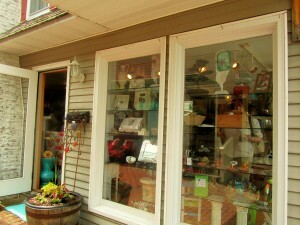 The Back Porch is located at 59 Rehoboth Ave. Tel. 302-227-3674. Website? www.backporchcafecom. Reservations are recommended. 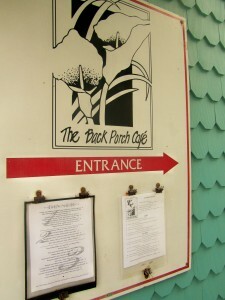 At the Back Porch Cafe you have several choices regarding seating. You can eat indoors, on a beautiful night you can dine al fresco, or you can have the choice of the side porch. It has been some time since I had stopped by for dinner. The restaurant closes for the winter. In 2009 a gluten free menu was offered. I have to remind you that my husband has to eat gluten free; celiac disease. As we waited for our friends to arrive I asked to see the menu. I also asked if there was a gluten free menu. The person said that they did not have one; that probably they will have one later on in the season. She said she would go and check with the kitchen but that their restaurant was not a gluten free restaurant. Their menu changes all the time. My answer was that he had a food allergy. She came back from the kitchen and marked the dishes that he would be able to have. One appetizer and one salad were gluten free. There were 5 entrees to choose from. On this Sunday evening the Back Porch was not crowded. That was not so on Saturday. They even had to turn people away. I was trying to figure out what appetizer to choose from; the Char Seared Day Boat Scallop, blood pudding and wilted cavolo nero, blood orange vinaigrette. The blood pudding is what caught my attention. I am sure it was going to be a “morcilla”. Being from Puerto Rico, that is one thing that Isla del Encanto can prepare well. But no. 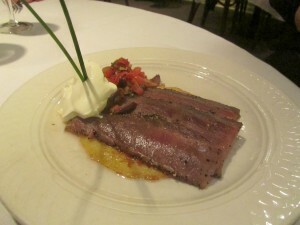 I chose the Pickled Veal Tongue, Tomato Marmalade, Shaved Ricotta Salata. It was good; a little gamey, which I like, and a very good combination with the tomato marmalade. 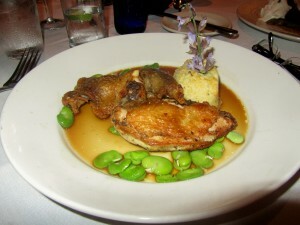 My entree was a Roasted Guinea Hen, Sage and Mascarpone Polenta, Fava Beans. It was pretty tasty. 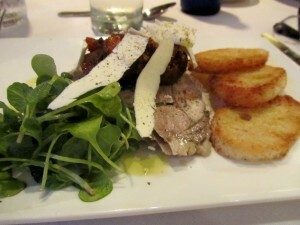 The white meat was nice and crispy but the best flavor was reserved for the dark meat even though it was not as crispy. The polenta was good and the fava beans gave the dish the final touch of color. One person ordered the Yellow Fin Tuna, Corn Blinis, Preserved Lemon Salsa. She loves this dish which is pretty much available all the time. She orders it every time. Then, a salad. That’s all she wanted. 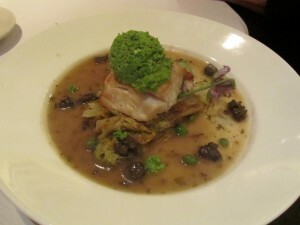 Another person ordered the Pan Seared Wild Rockfish, with peas, morels and braised butter lettuce. He thought it was delicious. 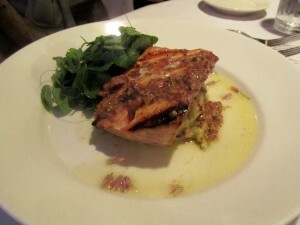 Then my husband ordered the Grilled Wild King Salmon, with fresh pea colcannon, warm bacon vinaigrette. He liked it even though his choice would have been the crispy veal sweetbread. It had gluten so that was not going to happen. I asked the table what they thought of their meal. Everyone’s answer was ” good”. My comment was the same. Good, but not the meal that made me want to say “I cannot wait to come back”. No desserts for us even though there were a few tempting ones. We were pretty much the last ones to leave. A stopped at the bar and some chatting. Then, after a few minutes, my question was: What is your policy for someone coming to the restaurant who needs to eat gluten free? His answer was: Policy? If you come to the restaurant with an allergy and there is nothing you can eat on the menu on that day, then you are out of luck. Basically you need to call a couple of days in advance informing them about the food allergy. 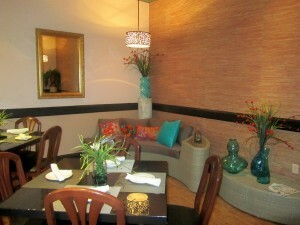 Their kitchen is the size of a closet and they cannot make changes, substitutions or additions to the menu. Otherwise, he continued, they would have to accommodate every person with a restriction, for example, vegetarian, vegan, peanut, and so on and so forth. They are just too busy and simply, cannot do it. They do not want to substitute ingredients because their dishes are structured in such a way that if they did that then the outcome would not be the same. To tell you the honest truth, I was a little taken back with the delivery of all this. I have been a customer for a long time and I thought the way it was presented was with some attitude, perhaps? Did not expect it. There are so many gluten flours in the market and so many products that can be used in order to create the same taste and presentation. They just have to be on hand for the unexpected customer with a food allergy. In a time when so many customers have dietary restrictions, restaurants are bending over backwards to make you feel comfortable and at ease so that you can enjoy the evening, I found the Back Porch a little rigid and wondered; do they even care if I come back? Please remember that if you or anyone in your party has a food allergy, call ahead and see what accommodations can be made available to you. 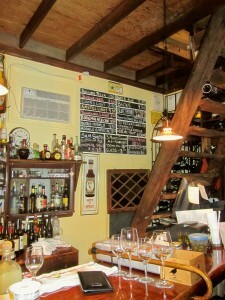 So many restaurants and so many choices….aren’t we lucky? Certainly an interesting evening with friends….nothing better than to share a meal with the ones that mean the most to you….Talk to you later…. The residents look forward to this time of the year. The town all to themselves. This Second Season brings to Delray plenty of visitors. And since it is that time of the year where school children will be home a lot, I thought I would pass on what the Sandoway House Nature Center can offer this summer. You will need it; it’s a long summer, believe me. I remember well. 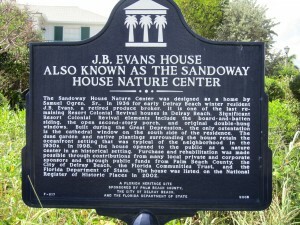 The Sandoway House Nature Center is located at 142 South Ocean Blvd. This is just a block and a half south of Atlantic Avenue on the west side of A1A. You cannot miss it. In 2002, this home was listed on the National Historic Places and the marker in front of the house shows this designation. On February 15th I wrote a post on this beautiful place. You can just go on the left hand of this website and click under the month of February, 2011 and scroll down to the 15th. 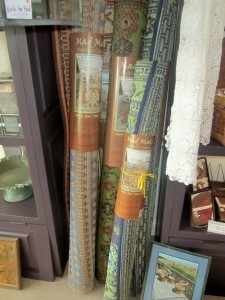 The website is www.sandowayhouse.org and the tel. is 561-274-7263. As you come in some of the usual suspects will be there; they always are. 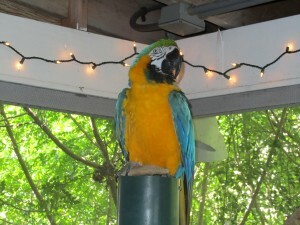 The cranky Blue & Gold Macaw being one of them. He checks all visitors. He knows he is beautiful. Exhibits and educational programs are on going. So here is what you will find. As of May 13th – Tooth for Thought. I remember when I had my own shark’s tooth. I wore it on a leather cord. That was the style them. At the Nature Center you will find that this will be an interactive program where guests will make a Shark Tooth Necklace while learning about the ocean’s top predators. $3 plus general admission. During each week the campers will spend time interacting with Nature Center exhibits and participating in a variety of science related activities. Each day is from 9 a.m. until 4 p.m.
After-care is offered from 8 a.m. until 5:30 p.m. at not additional charge. For more detailed info. please call them at 561-274-7263. 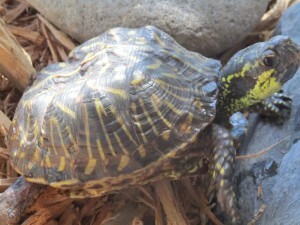 Tuesdays – Starting June 15th is Turtle Talk Tuesdays. Speedy, the Florida’s endangered Gopher Tortoise, Gigi, a Florida Box Turtle, a red-bellied pond turtle and a few more. Learn about their habitats. These turtles call Sandoway Nature Center, home. Admission is $4 for ages 3 and up; free for members. It also includes admission to all other exhibits. 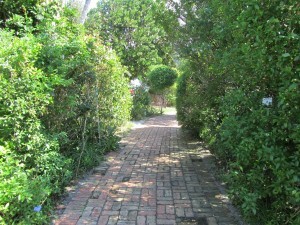 Wednesdays – Starting June 16th at 2:00 p.m. – Being that the Sandoway Nature Center is a historic home adjacent to the Atlantic Ocean, it has beautiful gardens, showcasing native plants. 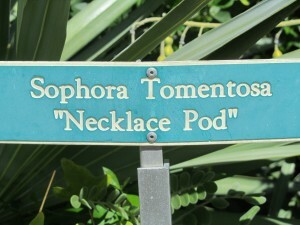 Walk through the native butterfly garden. 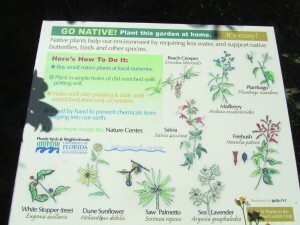 The leisure walk includes identification and information on dozens of native Florida plants. Learn what types of plants butterflies love and are attracted to. Admission is only $4. 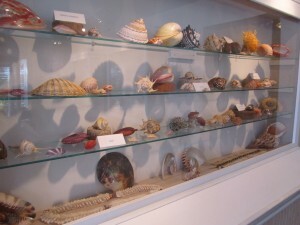 It includes all the other exhibits, as well, including Florida’s largest private shell collection. Thursdays – Starting June 17th. Inside and Outside Shells. 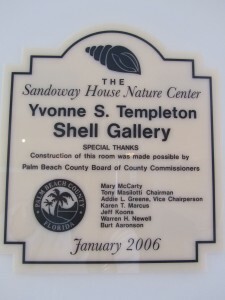 The Sandoway Nature Center houses one of the largest exhibits in Florida. Learn from their resident conchologist. 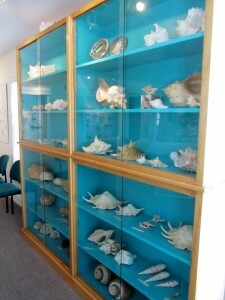 Conchology is the scientific or amateur study of mollusk shells. Kids will be able to touch several living mollusks, including the Horse Conch, which is Florida’s State Shell. I really did not know that. And, you will also be able to dissect a large squid. $4 admission. The Horshe Conch is found on Florida’s shores regularly. The snail is the second largest mollusk, with one shell, in the world. It can get to up to 2 feet in size. 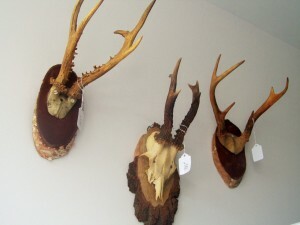 It is an agressive carnivor eating……you will need to check this out at the Nature Center. Starting July 1st – Take a bite out of summer. The “Shark Months” exhibit will call Sandoway Nature Center, its home. 80 different varieties of shark and ray jaws. A replica of a Great White Shark Jaw will be there for photos, a touch table, a free fossil dig for kids, Hawaiian Shark Tooth weapons and plenty more. Admission is $4 per guest. Please call 561-274-7263 for more info. 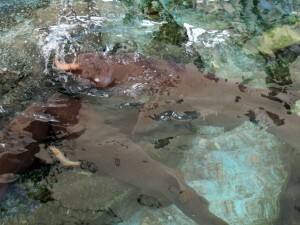 Tuesdays through Saturdays at 10:30 a.m. and on Sundays at 1:30 p.m. is Shark Feeding at the Sandoway. I have attended and it is very interesting. 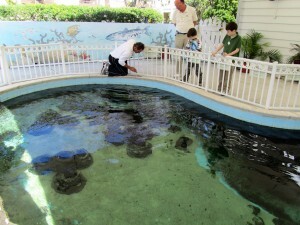 Learn about what Atlantic Ocean Reef Fish and Nurse Sharks eat. Besides all the exhibits and programs, one of them is a Group Education Program that can be tailored to your needs. 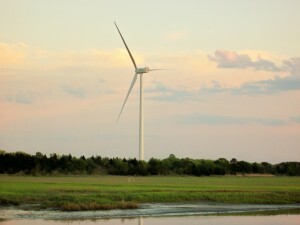 The K-12 programs are developed to meet Florida Sunshine State Standards. Call to schedule your group adventure. 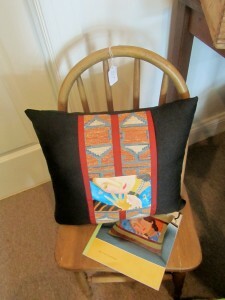 Perfect for school and special interest groups of all ages. The learning experience will be adapted to your group. Now you have some information to, at least, get those kids out and about.